mikee, what would be the rawlings step-brother equivalent? XPGS (11") for the one on the left and XPG5 (11.375") for the one on the right. looks cool!!! - PLAYS GREAT!!! Just measured again with my freshly calibrated glove measurement device....Let's call it 11.50"
I want to see the freshly calibrated glove measurement device! Geez! $90 to be "down to the gnat's nose"? Wake, I'm having a hard time making the correlation from the Spalding Shaw (1961?) 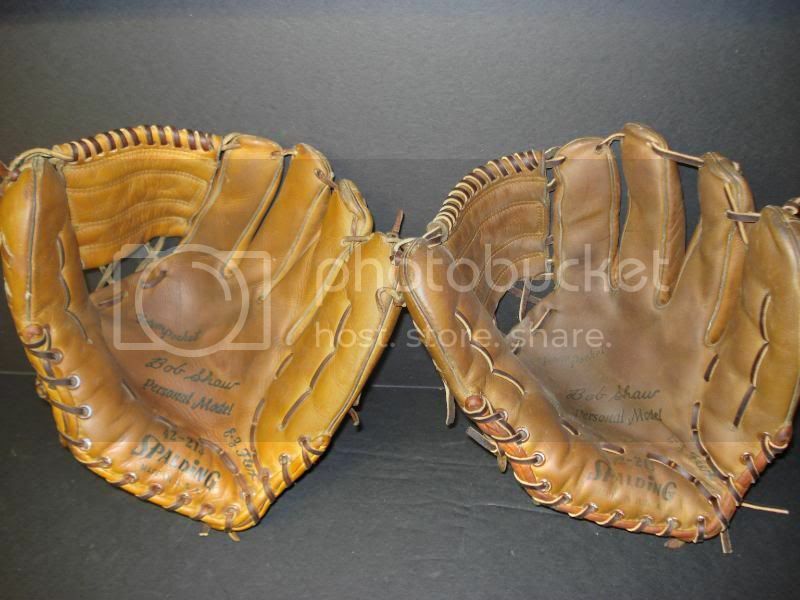 42-213, a $31.00 in 1961 and 4th highest price store model glove that year behind the Ford, Colavito and Bolling Spalding personal models. 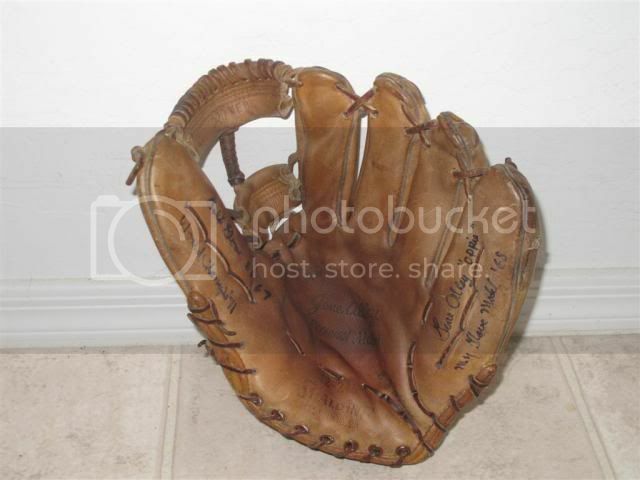 The $31.00 equivalent store model for Rawlings that yea is the XPG9 Bob Cerv model. If we're talking about store models and not pro stocks as I don't see an XPG5 or an XPGS listed in the Rawlings Retail catalog lines for those years (I've not looked at the actual catalog). I see a Shaw 42-215 personal in 1963 same price $31. So, guess we're talking about pro stock Numbers/Gloves? Now I'm not looking in the catalogs to make the comparison just the source book. 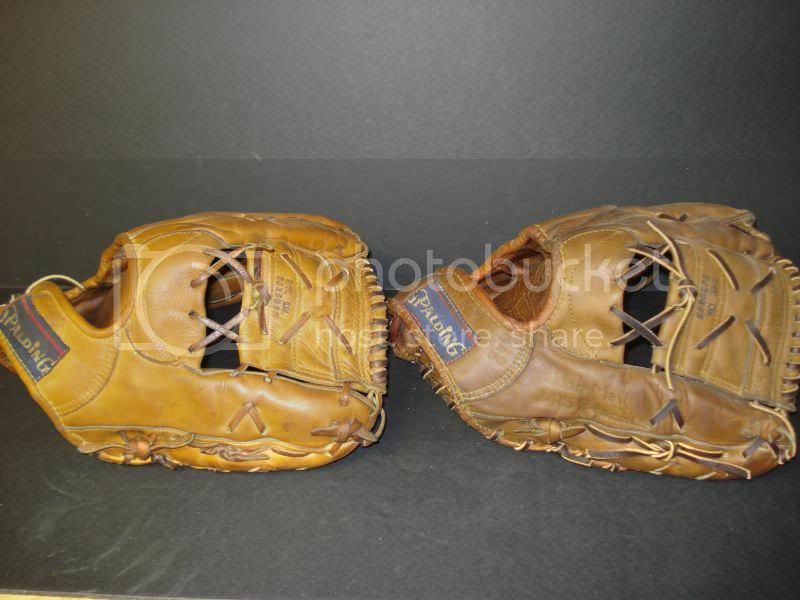 In 1962 Rawlings had XPG9 Sievers Pers. at $31 and 1963 XPG10 Mathews personal at $31.95. 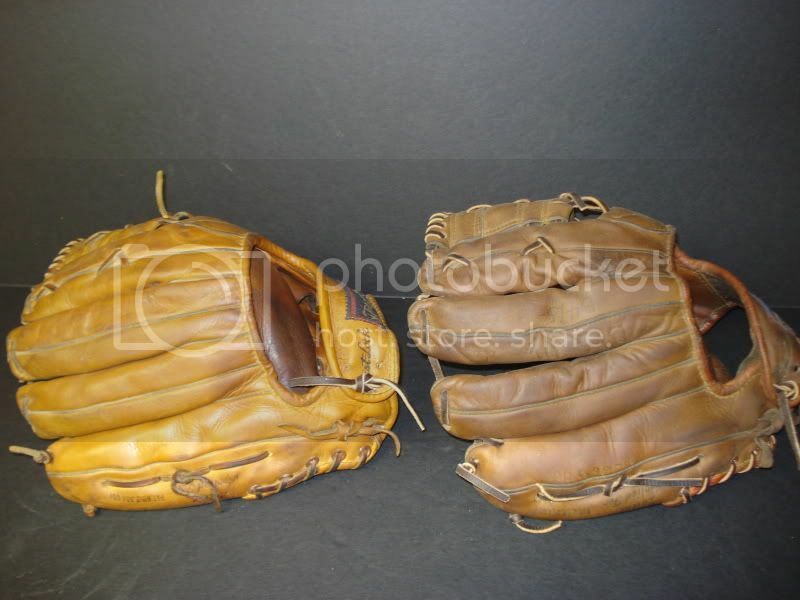 So guess we're talking about non-catalogued gloves?? I'm pretty sure wake is talking about a pattern equivalent, not price. While we're on the subject, can anyone tell who the step brother for this 42-215? Raise your hand if you know the answer.